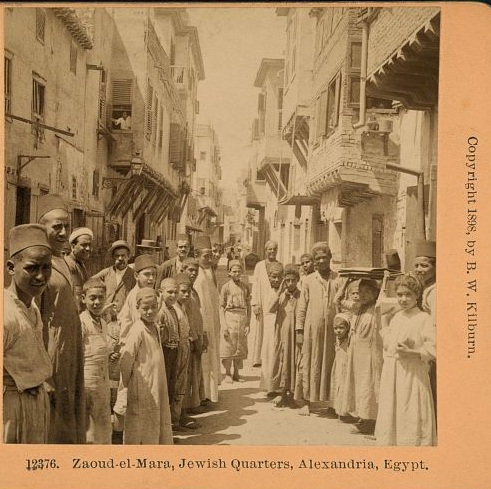 The American Colony photographers took pictures of Jewish communities as they traveled throughout the Middle East. But they also obtained collections from other photographers in the region. Some of those pictures, also part of the Library of Congress collection, are presented here. Damascus: The Jewish community of Damascus dated back to the Days of the Second Temple in Jerusalem. Over the centuries, their numbers were supplemented by Jews who were expelled from Spain in 1492. In the course of the 19th and 20th centuries, the Jews of Syria were persecuted by Ottoman and Syrian authorities. 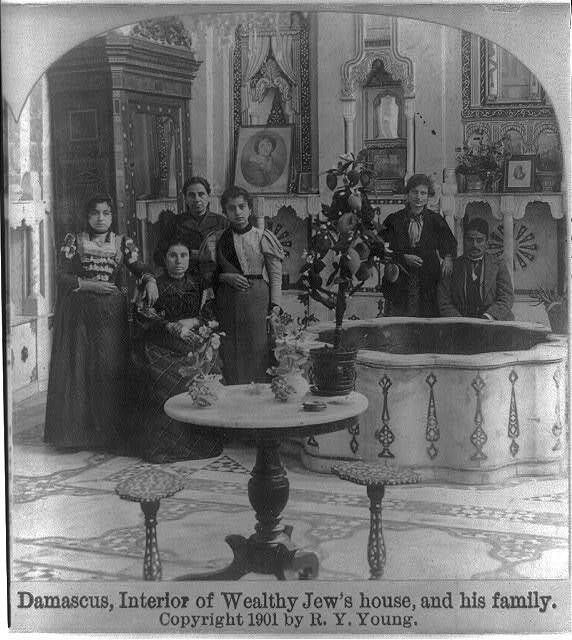 Most of Syria's Jews emigrated to Israel or North America, and today the Jewish community is believed to be a tiny number. 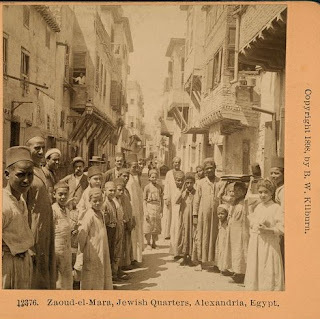 Alexandria: According to a Jerusalem Post article from 2008, Alexandria "is said to have boasted a community of tens of thousands of Jews of both Ashkenazi and Mizrahi descent, but some were expelled as French or British citizens during the Suez Canal crisis of 1956. Others were expelled and/or imprisoned for up to three years during the Six Day War. Some, too, left on their own accord, feeling that there was a brighter future for them as Jews in countries like Israel, America and Australia." 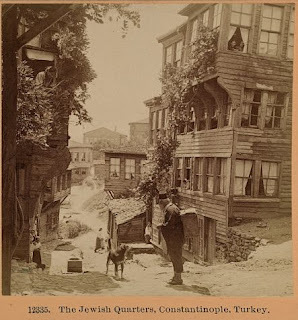 Constantinople: The name of the Turkish city was changed from Constantinople to Istanbul in the 1920s, which explains the caption on this 1898 photo. The Jewish community in Turkey also dates back millennia. Tens of thousands of Jews from Spain found refuge in Turkey in 1492. The Ottoman Empire which ruled the Middle East for 400 years usually provided a safe haven for its Jewish residents, with occasional outbreaks of anti-Semitic episodes. 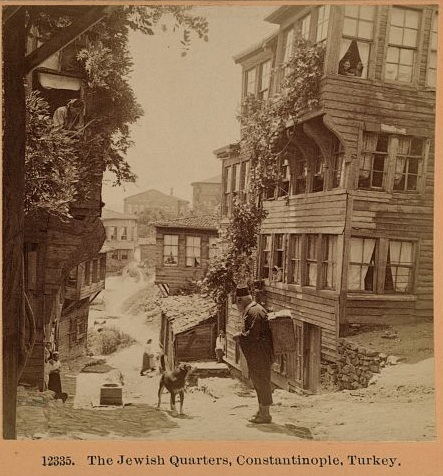 Today, the Jewish community in Turkey numbers approximately 20,000, most in Istanbul. The new Islamic policies of the current Turkish government may result in Jewish emigration, according to some observers. Hassaan, is that really all you've got? That's your best attempt to write these people out of history?